Rock Dog (2016) – What's New on Netflix Canada Today! When a radio falls from the sky into the hands of a wide-eyed Tibetan Mastiff, he leaves home to fulfill his dream of becoming a musician, setting into motion a series of completely unexpected events. 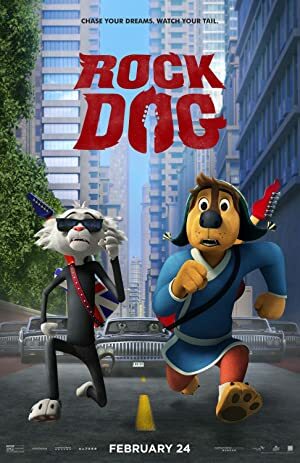 A Tibetan mastiff with a knack for rock ‘n’ roll defies his father’s wishes and pursues his passion, all the while heading off a mean pack of wolves.